Hey guys! So I am super excited to write this blog, really. 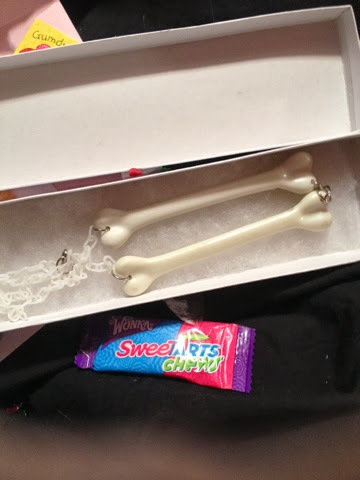 This blog is about a lovely shop called www.ShopPinkSugar.storenvy.com! Pink Sugar is owned by the pink queen herself, Lexi! I only recently came across Lexi on instagram when she began going through a really rough and unfortunate time in her life. Eventually I followed her on everything, Tumblr, Instagram, Twitter, and found out she's an amazing person with an amazing personality! I then came across her shop and fell in love with it. 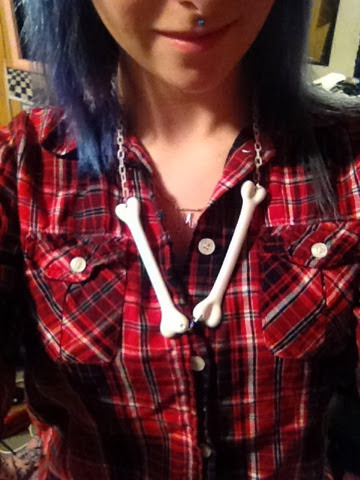 She sells a bunch of super spooky and creepy cute things which is exactly what I love! 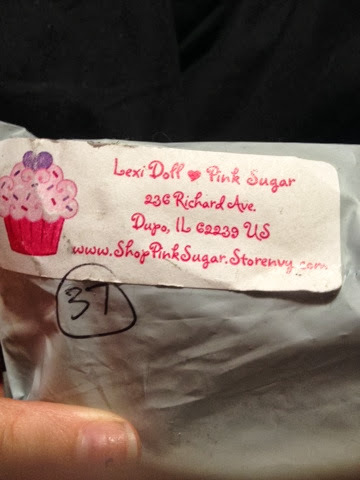 My package took awhile to arrive but I wasn't complaining because knowin Lexi's situation I of course had patience! So my package came with a cute sticker on it! 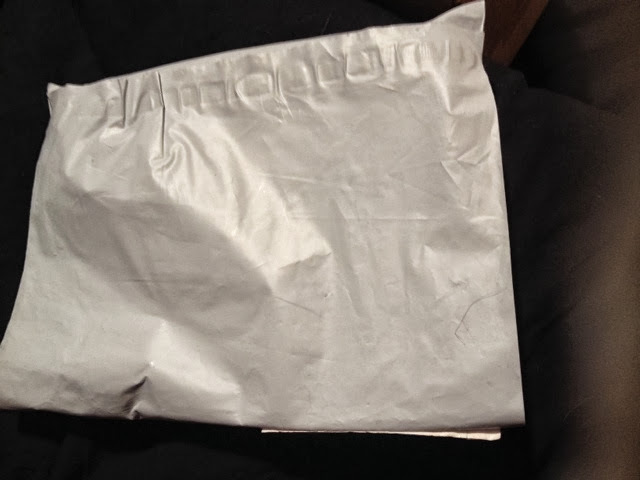 When you open the package, there's glitter everywhere (All over my bed now YAY)! 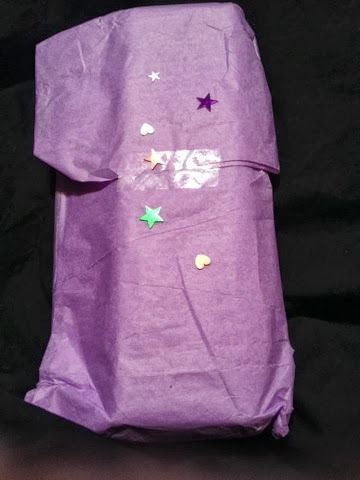 And cute purple wrapping paper! Inside is the cute wrapping paper is a box! 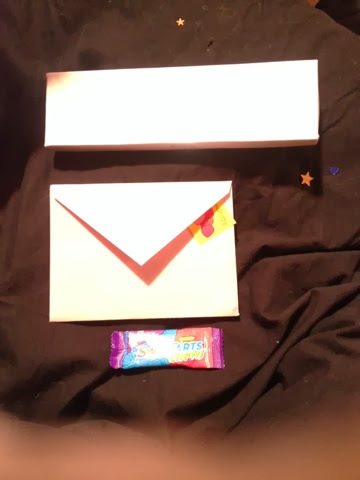 As well as in the package there was a cute letter and a candy! Which honestly made my night, I was feeling down and this cheered me up instantly! 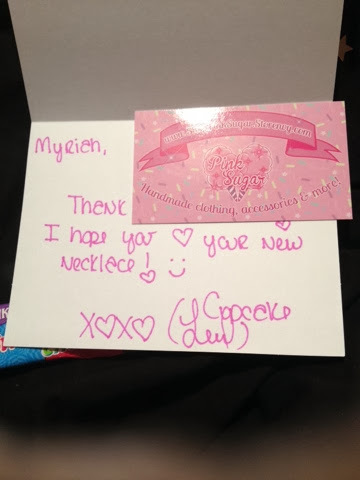 It's amazing that she takes the time to personalize every package and it really feels like you're getting a sincere gift from a friend, I love it! 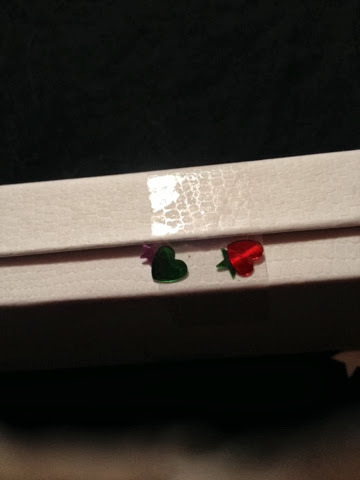 There was even glitter under the tap holding the box shut, how cute is that! It's absolutely adorable on, I love it! I really want to buy more of her cute goodies to match and wear them with a cute black dress, wow wouldn't that be cute! Overall I am SO pleased with this package, and the time and effort put into it. Lexi is such a sweet person, you should seriously check her out! 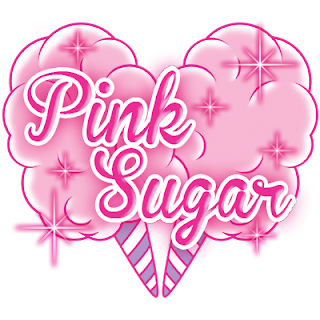 Follow me on Bloglovin, Instagram, Tumblr, and Twitter and Youtube!